Muuntaa SDI tulon kuituun tai toisinpäin. Tuki 12G, 6G, 3G ja 1.5G SDI-signaaleille. Huom. 3G, 6G tai 12G‑SDI SFP optical fiber -moduulia ei toimiteta mukana. Mini Converter Optical Fiber 12G converts SDI to optical fiber and optical fiber to SDI in both directions at the same time, you can even have different video standards going in each direction! 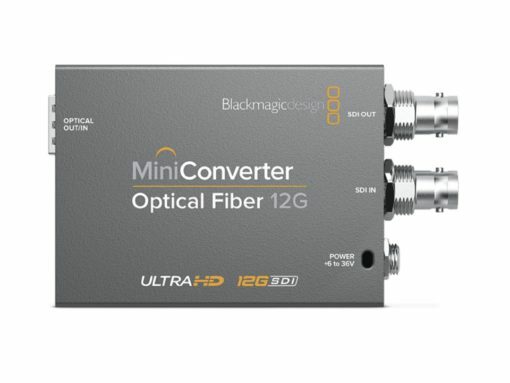 The 12G‑SDI connections are multi rate, which makes it compatible with all SD, HD and Ultra HD formats and equipment up to 2160p60, including Level A and B devices. 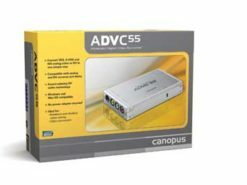 You can install any standard 3G, 6G or 12G‑SDI SFP optical fiber module so you can send SDI using the same low cost optical fiber cables that are commonly used for computer networks. 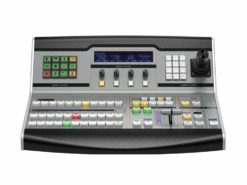 1 x SD, HD and 12G-SDI Video and 1 x Optical Fiber Input. 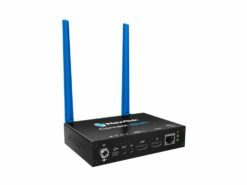 Automatically matches the SD, HD and 12G-SDI video input on the Optical Fiber. 1 x 10 bit SD/HD/12G- SDI switchable. 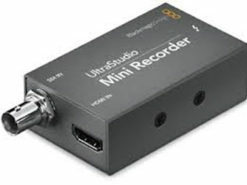 Automatically matches the SD, HD and 12G-SDI video input.